In August I took my children on a wonderful journey to Vietnam. 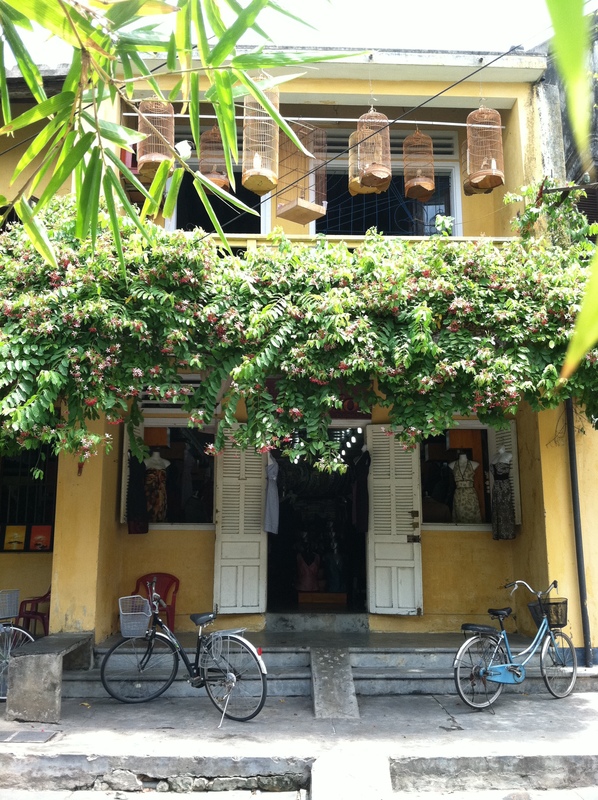 We started in Saigon and made our way to the Danang and Hoi An on the coast. This was not my first trip to Vietnam. I have a business based in Saigon. This trip I brought my teen age children and was forced to be a tourist! I loved it. I have always had a love for the people of Vietnam and their incredible workmanship and now I love everything about the country. The architecture and history in Hoi An was incredible it was settled in 200BC, and is still very much as it was 200 years ago.The city is mostly pedestrian which is a welcome change from Saigon. You also fall in love with the song birds hanging from the trees and balconies. The simplicity of life reminds one of what is important…even teens benefit the simple life! We loved the cafes and charm of this wonderful city. It is a must for anyone traveling to Vietnam.